Sometimes simple is key – and we make sure we don’t over complicate something that doesn’t need it. 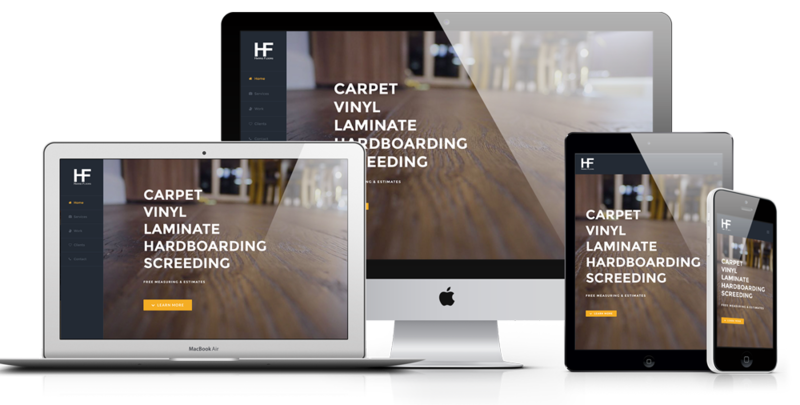 Harris Floors needed a simple advertising website, where potential clients can find them, see what they are about, and get in touch. We built a simple single page, with target navigation, a nice and simple contact form, and the ability to add portfolio and blog posts. Harris Floors’ website is hosted on our server, along with his mail servers – with a fully managed hosting package. If you are looking for a carpet or flooring fitter in Cornwall, we can highly recommend Harris Floors – they laid our studio flooring for us!